LAST TWO PLACES – BOOK NOW! The Wedding Photographer Course has been inspiring the next generation of wedding creatives since 2015. Since 2015, our courses have energized the careers of hundreds of apprentice wedding photographers. 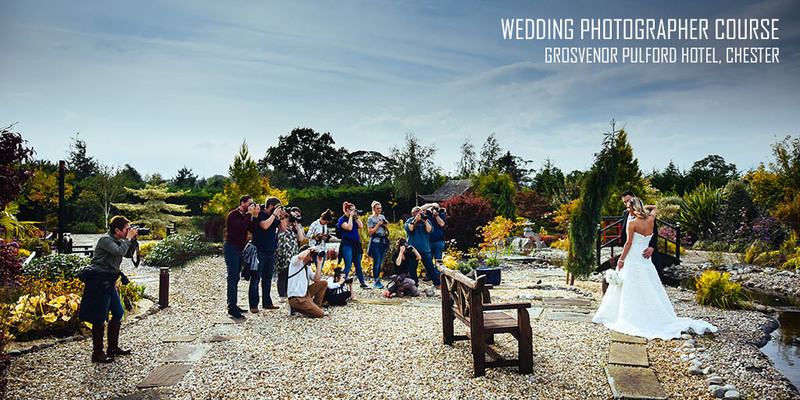 Cutting straight to the chase, we aim to provide enthusiastic students with the skills and knowledge they need to start (or develop) their own successful wedding photography business. They will also gain a starter portfolio of both photojournalist and traditional bride and groom photographs to impress prospective clients and hopefully achieve their first paid booking. Apart from an excellent business background, our staff hold degree level qualifications in photography and crucially, qualified teacher status. As trained educators, you can be assured of a well planned course and efficient delivery of the topics covered. In terms of driving your own business forward, our concise methodology will ensure you get off to the best possible of starts and remain one step ahead of your competitors. David graduated from Manchester Metropolitan University in 1990 and qualified as a teacher from Loughborough University shortly afterwards. He spent over ten years as a teacher before embarking on a highly successful career as a photojournalist wedding photographer. To date, he has shot over 500 weddings and now utilizes his dynamic skill set as a teacher to shape the next generation of wedding creatives. Claire graduated from Nottingham Trent University in 2002 with a degree in photography and digital imaging. Over the last decade she has been one of Cheshire’s top wedding creatives & we are incredibly fortunate to have her on board as our bridal preparation tutor. At the end of each course, students will be offered the opportunity to assist as an assistant photographer at one of our high-end weddings. Your professional development will be overseen directly on a one-to-one basis. Click here to find out more. Welcome to the course. An opportunity for you to get to know everyone and share your photographic journey so far. The journey from hobbyist to professional. Photographic styles: photojournalism and traditional. Personal qualities of the wedding photographer. Wedding Day Objectives – bridal preparation and the groomsmen. Case study 1 – the wedding of Samantha & Terry. The role of the wedding photographer. A look at Denis Stock’s iconic portrait of James Dean circa 1955. Wedding Day Objectives – The Ceremony. Case study 2 – the wedding of Charlotte & Daniel. Wedding Day Objectives – The Reception. Get the shots of our stunning model bride and groom to impress your prospective clients. A variety of settings will be used including the bridal suite, Japanese lakeside, traditional English garden, local sandstone church and a range of splendid interiors within the hotel. Every student who completes the course will receive a Certificate of Achievement. Responding to an e-mail enquiry. Meeting clients and securing the booking. Case study 3 – the wedding of Emma & Will. Wedding day objectives – the speeches and first dance. Key features of a successful website.